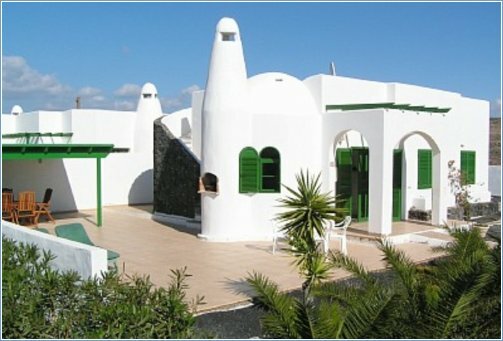 The stunning Villa Charlotte is a luxury detached and family friendly villa situated in the established and exclusive area of Playa Blanca. 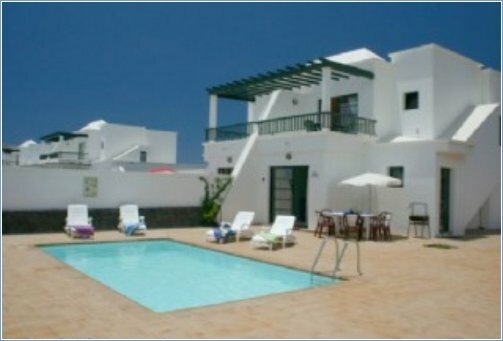 This elevated, beautiful and tranquil setting has wonderful sea views to Fuerteventura and Los Lobos. Within this large 1154 square metre plot is probably one of the island's largest and uniquely designed private swimming pools. In the 100sq metre pool there is a child's paddling area, Roman steps and it is fully electrically heated. 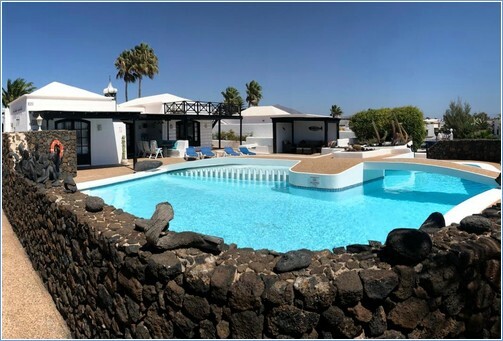 It has bridges running across the pool and we have installed the latest halogen lights to give a wonderful ambiance when sitting outside in the evening at the lava rock table where you can sip your favourite tipple. 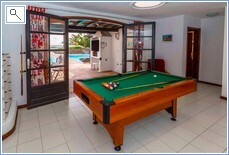 There are 8 sun beds and an outside shower with hot and cold running water and security lighting. Leading from the barbeque and covered seating area is an entrance Atrium that has a pool table for the guests to use. 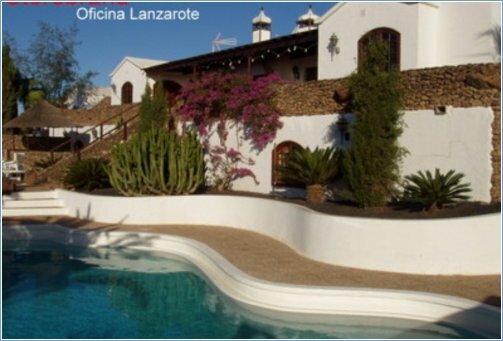 This large, spacious and extensive villa has 4 bedrooms, 2 of which have super king size beds and one which has twin beds. 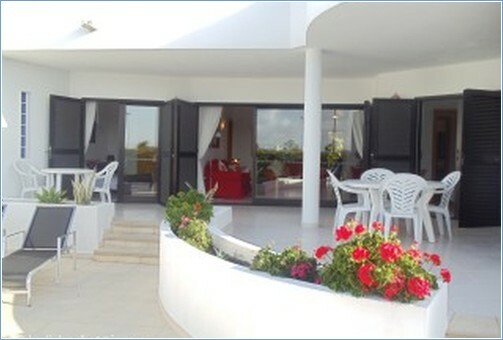 There are 2 bathrooms within the main villa and 1 shower room and toilet in the annexe. 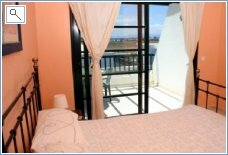 The master bedroom has an ensuite bathroom and patio doors leading to the pool. Air conditioning is available in the master bedroom. 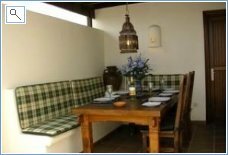 Attached to the villa is a separate self-contained annexe with kitchenette, sitting area, shower room and toilet, twin beds and TV, ideal for the grandparents or teenagers. Our 2 houses have a brilliant view, very close to the beach. 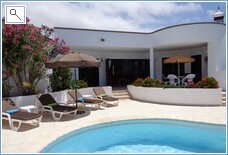 We also have private swimming pool, and the house is situated in the front 1. line. Very nice garden around our villa and a jacussi in the garden. The 2 houses has each of them: 3-4 sleeping rooms, 2 bathrooms, 2 open fire places inside, 1 open fire place outside. A big grill on the terrace. 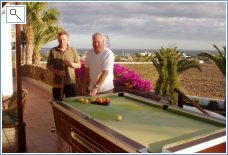 A billiard table on the terrace. The very best place to live! 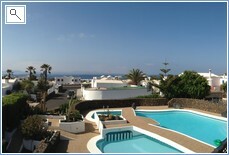 The villa has plenty of private terraces and luxury sun-beds for sun worshippers. 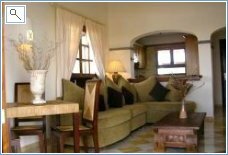 There are tables and chairs for outdoor dining and the lounge and both master suites open onto the main covered terrace. A private, heated pool provides entertainment for both adults and children. Villa Cassia is located only a 5 minute walk to the secluded Playa Flamingo beach which is perfect for families with children. 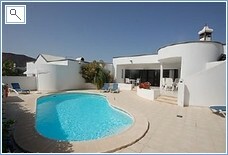 This is a wonderful villa on one of the largest plots in Shangrila Park, Playa Blanca. A very large patio with covered pergola offers shade and privacy, with outdoor dining using the integrated barbecue. 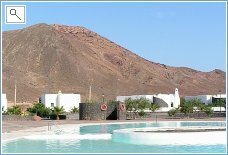 A secluded roof terrace provides a further private sun area with wonderful views to Montana Roja and across to Fuerteventura. 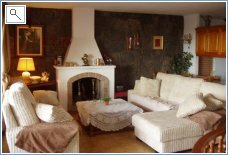 A superb detached comfortable villa, with sun terrace, a stones throw from the shared swimming pool. It has a fully fitted kitchen, with dishwasher, oven, hob, microwave. A laundry room with washing machine, iron etc. The villa also has a safe. 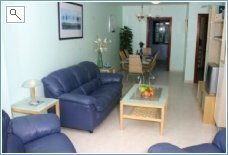 It is furnished to the highest standard, with its marble floors, and spacious accommodation, in a great location. Situated in the new residential park of La Goleta, Casa Lucia boasts its own heated swimming pool and very private roof terrace. The pool has a salt water chlorinator. For those of you to whom this means nothing, the pool water is kept clean by the natural chlorine in salt, and not by a collection of chemicals. This system also renders the pool water less liable to algae infection whilst the taste of the water is unaffected except in so far as it does not have the chlorinated taste which you may have experienced in your local municipal, school or hotel pool. 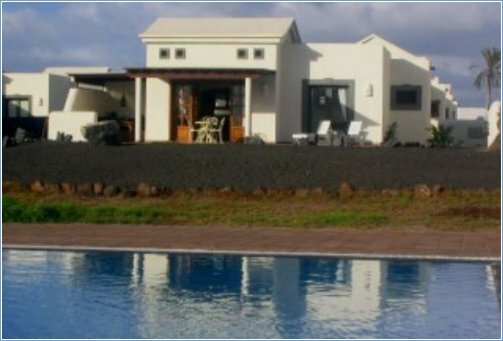 Villa Rosa & Flora are ideal for couples, families and small groups of friends. 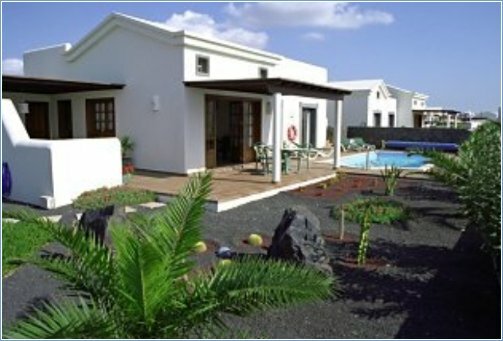 More Villas of the same high standard (including single storey holiday homes) available on the same complex. 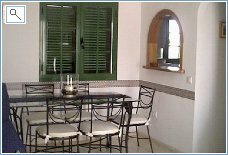 The interior of each villa has been carefully furnished to provide a homely atmosphere but with a modern and spacious feel.